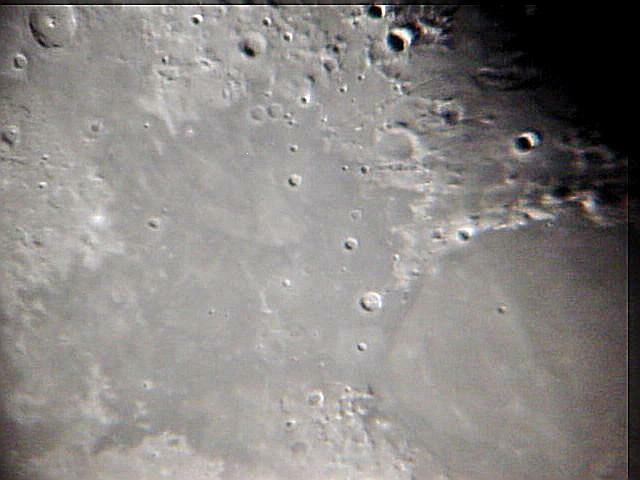 Moon showing crater Julius Caesar and Rima Ariadaeus(upper middle) Crater Theophilus (far upper left) Taken with Meade 10" Starfinder Newtonian and Sony Cyber-Shot Digital Camera. 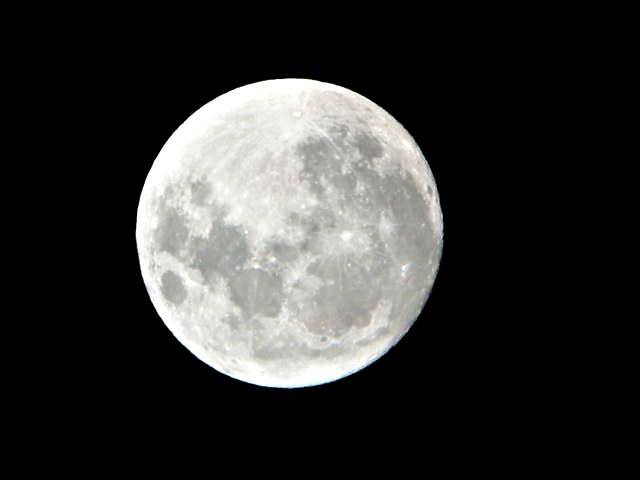 99% full Moon taken with 10" Meade Starfinder using Sony Cybershot digital camera and 26mm eyepiece. 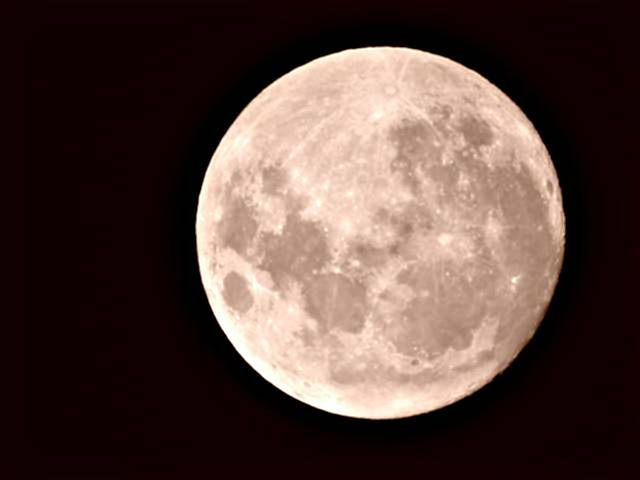 Moon showing crater Plato and the alpine valley. 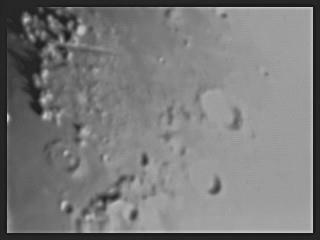 Taken with Meade 10" Starfinder using a Quickcam VC ccd camera at prime focus.